In these challenging times of anti-science attitudes and ‘alternative facts’, it may sound strange to be warning against excessive scientific exuberance. Yet to help defend science from these attacks, I think we need to encourage scientists to maintain their credibility amongst non-scientists. Despite the recent growth of various anti-science movements, science is still widely regarded as the ‘gold standard’ for the discovery of empirical knowledge, that is, knowledge derived from observations and experiments. Even theoretical physics is supposed to be empirically verifiable in principle when the necessary technology becomes available, as in the case of the Higgs boson and Einstein’s gravitational waves. But empirical observations are not our only source of knowledge – we also use reasoning to make sense of our observations and to draw valid conclusions from them. We can even generate new knowledge through the application of reasoning to what we already know, as I shall discuss later. Most skeptics (with a ‘k’) see science as a kind of rational antidote to the irrationality of pseudoscience, quackery and other varieties of woo. So we naturally tend to support and promote science for this purpose. But sometimes we can go too far in our enthusiasm for science. We can mistakenly attempt to extend the scope of science beyond its empirical capabilities, into other fields of inquiry such as philosophy and politics – even ethics. If only a small number of celebrity scientists lessen their credibility by making pronouncements beyond their individual fields of expertise, they render themselves vulnerable to attack by our opponents who are looking for any weaknesses in their arguments. In doing so, they can unintentionally undermine public confidence in science, and by extension, scientific skepticism. Logical positivism (sometimes called ‘logical empiricism’) was a Western philosophical movement in the first half of the 20th century with a central thesis of verificationism; which was a theory of knowledge which asserted that only propositions verifiable through empirical observation are meaningful. One of the most prominent proponents of logical positivism was Professor Sir Alfred Ayer (1910-1989) pictured below. Ayer is best known for popularising the verification principle, in particular through his presentation of it in his bestselling 1936 book Language, Truth, and Logic. Ayer’s thesis was that a proposition can only be meaningful if it has verifiable empirical content, otherwise it is either a priori (known by deduction) or nonsensical. Ayer’s philosophical ideas were deeply influenced by those of the Vienna Circle and the 18th century empiricist philosopher David Hume. (3) Pragmatism: science owes its special status to its unique ability to deliver concrete, practical results: it ‘works’. Philosophy, theology, and other such fields of inquiry do not produce ‘results’ in this same way, and thus have no special status. Somewhat controversially, Fodor classifies Richard Dawkins, Sam Harris, Peter Boghossian, Neil de Grasse Tyson, Lawrence Krauss, and Stephen Hawking as exponents of crude positivism when they stray outside their respective fields of scientific expertise into other fields such as philosophy and social commentary. (Although to be fair, Lawrence Krauss wrote an apology in a 2012 issue of Scientific American, for seemingly dismissing the importance of philosophy in a previous interview he gave to The Atlantic). Fodor’s component (1) is a relatively uncontroversial viewpoint shared by most scientists and skeptics. Nevertheless, Fodor cautions that crude positivists often speak as if evidence is self-interpreting, such that a given piece of evidence automatically picks out one singular state of affairs over all other possibilities. In practice, however, this is almost never the case because the interpretation of evidence nearly always requires an elaborate network of background knowledge and pre-existing theory. For instance, the raw data from most scientific observations or experiments are unintelligible without the use of background scientific theories and methodologies. 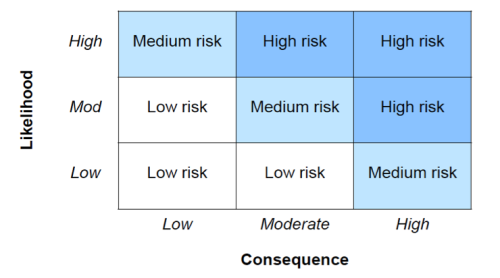 It is Fodor’s components (2) and (3) that are likely to be more controversial, and so I will now discuss them in more detail. What is ‘scientism’ – and how is it different from the natural enthusiasm for science that most skeptics share? Unlike logical positivism, scientism is not a serious intellectual movement. The term is almost never used by its exponents to describe themselves. Instead, the word scientism is mainly used pejoratively when criticising scientists for attempting to extend the boundaries of science beyond empiricism. Philosophical problems are scientific problems and should only be dealt with as such. At the 2016 Australian Skeptics National Convention, former President of Australian Skeptics Inc., Peter Bowditch, criticized a recent video made by TV science communicator Bill Nye in which he responded to a student asking him: ‘Is philosophy meaningless?’ In his rambling answer, Nye confused questions of consciousness and reality, opined that philosophy was irrelevant to answering such questions, and suggested that our own senses are more reliable than philosophy. Peter Bowditch observed that ‘the problem with his [Nye’s] comments was not that they were just wrong about philosophy; they were fractally wrong. Nye didn’t know what he was talking about. His concept of philosophy was extremely naïve.’ Bill Nye’s embarrassing blunder is perhaps ‘low hanging fruit’; and after trenchant criticism, Nye realised his error and began reading about philosophy for the first time. Firstly, philosophical questions are for the most part conceptual, rather than scientific or empirical. They are usually answered by the use of reasoning rather than empirical observations. 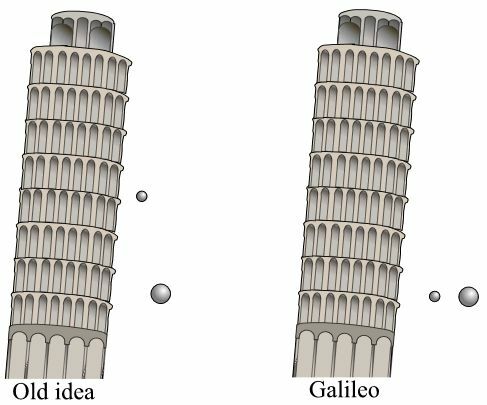 For example, Galileo conducted a famous thought experiment by reason alone. Imagine two objects, one light and one heavier than the other one, are connected to each other by a string. Drop these linked objects from the top of a tower. If we assume heavier objects do indeed fall faster than lighter ones (and conversely, lighter objects fall slower), the string will soon pull taut as the lighter object retards the fall of the heavier object. But the linked objects together are heavier than the heavy object alone, and therefore should fall faster. This logical contradiction leads one to conclude the assumption about heavier objects falling faster is false. Galileo figured this conclusion out in his head, without the assistance of any empirical experiment or observation. In doing so, he was employing philosophical rather than scientific methods. Secondly, moral questions are about what we ought or ought not to do. In contrast, the empirical sciences, on their own, appear capable of establishing only what is the case. This is known as the ‘is/ought gap’. Science can provide us with factual evidence that might influence our ethical judgements but it cannot provide us with the necessary ethical values or principles. For example, science can tell us how to build nuclear weapons, but it cannot tell us whether or not they should ever be used and under what circumstances. Clinical trials are conducted in medical science, often using treatment groups versus control groups of patients. It is bioethics rather than science that provides us with the moral principles for obtaining informed patient consent for participation in such clinical trials, especially when we consider that control groups of patients are being denied treatments that could be to their benefit. I have given the above examples not to criticise science in any way, but simply to point out that science has limitations, and that there is a place for other fields of inquiry in addition to science. Coming back to Fodor’s component (3) of crude positivism, he makes a good point that a scientific explanation that ‘works’ is not necessarily true. For instance, Claudius Ptolemy of Alexandria (c. 90CE – c. 168CE) explained how to predict the behavior of the planets by introducing ad hoc notions of the deferent, equant and epicycles to the geocentric model of what is now known as our solar system. This model was completely wrong, yet it produced accurate predictions of the motions of the planets – it ‘worked’. Another example was Gregor Mendel’s 19th century genetic experiments on wrinkled peas. These empirical experiments adequately explained the observed phenomena of genetic variation without even knowing what genes were or where they were located in living organisms. James Fodor argues that just because scientific theories can be used to make accurate predictions, this does not necessarily mean that science alone always provides us with accurate descriptions of reality. There is even a philosophical theory known as scientific instrumentalism, which holds that as long as a scientific theory makes accurate predictions, it does not really matter whether the theory corresponds to reality. The psychology of perception and the philosophies of mind and metaphysics could also be relevant. Fodor adds that many of the examples of science ‘delivering results’ are really applications of engineering and technology, rather than the discovery process of science itself. Fodor concludes that if the key to the success of the natural sciences is adherence to rational methodologies and inferences, then it is those successful methods that we should focus on championing, whatever discipline they may be applied in, rather than the data sets collected in particular sciences. Physicist Ian Hutchison writes ‘the health of science is in fact jeopardised by scientism, not promoted by it. At the very least, scientism provokes a defensive, immunological, aggressive response in other intellectual communities, in return for its own arrogance and intellectual bullyism. It taints science itself by association’. Hutchinson suggests that perhaps what the public is rejecting is not actually science itself, but a worldview that closely aligns itself with science — scientism. By disentangling these two concepts, we have a much better chance for enlisting public support for scientific research. The late Prof. Austin Hughes left us with a prescient warning that continued insistence on the universal and exclusive competence of science will serve only to undermine the credibility of science as a whole. The ultimate outcome will be an increase in science denialism that questions the ability of science to address even the questions legitimately within its sphere of competence. Ayer, Alfred. J. (1936), Language Truth and Logic, London: Penguin. Bowditch, Peter ‘Is Philosophy Dead?’ Australasian Science July/August 2017. Fodor, James ‘Not so simple’, Australian Rationalist, v. 103, December 2016, pp. 32–35. Harding, Tim ‘I Think I Am’, The Skeptic, Vol. 37 No. 1. March 2017, pp. 40-44. Hughes, Austin L ‘The Folly of Scientism’, The New Atlantis, Number 37, Fall 2012, pp. 32-50. Hutchinson, Ian. (2011) Monopolizing Knowledge: A Scientist Refutes Religion-Denying, Reason-Destroying Scientism. Belmont, MA: Fias Publishing. Krauss, Lawrence ‘The Consolation of Philosophy’ Scientific American Mind, April 27, 2012. Law, Stephen, ‘Scientism, the limits of science, and religion’ Center for Inquiry (2016), Amherst, NY. Novella, Steven (15 February 2013). ‘Scientific Skepticism, Rationalism, and Secularism’. Neurologica (blog). Retrieved 12 February 2017. Sorell, Thomas (1994), Scientism: Philosophy and the Infatuation with Science, London: Routledge. Just because people use logic doesn’t mean they are using it well. Simple appeals to believe have no place in public life. If you watched Channel 7 news this week, you would have learnt about a study commissioned by Friends of the Earth that found “potentially toxic” nanoparticles in Australian baby formula. The study’s spokesperson said calcium phosphate nanoparticles (nano-hydroxyapatite, also known as nano-hydroxylapatite) caused kidney and liver damage. That claim was, how shall I put it kindly, just a little misleading. I have the study the spokesperson mentioned before me, which was conducted in rats, not humans. The researchers injected calcium phosphate nanoparticles directly into rats’ body cavities (instead of oral administration as happens with baby formula) at concentrations around a million times higher than found in the baby formula. The normal levels of AST, ALT and A/G [liver enzymes indicating liver damage] in the n-HA [nano-hydroxyapatite] group suggested no inflammation and necrosis induced by accumulation of 100 mg of n-HA particles. In the liver function there was almost no damage. Moreover, no significant change on values of BUN and CR [urea and creatine] than the control, which also suggested n-HA has no effect on renal function. In other words, there were no ill effects on liver or kidney function, the direct opposite of what the media reports were claiming. Even if you injected 100 milligrams of pure nano-hydroxyapatite directly into a newborn baby’s body (equivalent in baby terms to the dose given to the rats) there would be no significant effect on liver or kidney function. The spokesperson’s misleading message caused unwarranted concern. On a now deleted Sunrise Facebook post discussing this report, the commentors’ concern and fear was palpable. Causing unreasonable fear is irresponsible. Nanoparticles have become the latest bogeyman, despite nanoparticles occurring naturally. The media report that fuelled the controversy failed to put nanoparticles in their natural biological context, provide any significant support that particles detected in milk are engineered nanomaterials, nor provide evidence of harm for the levels found. Infant formula is based on milk, which naturally contains calcium and phosphorus (as calcium phosphates). Milk is an important source of calcium, which forms the basis of bones and teeth. The calcium and phosphates are in a complex balance between soluble and protein-bound forms. One of the forms of calcium phosphate in milk is hydroxyapatite (also found in tooth enamel). So it is unsurprising that hydroxyapatite is found in dried infant formula, which is mainly dried milk powder. Nanometre-sized particles of calcium phosphate also form naturally in drying milk. Researchers have studied the safety of consuming hydroxyapatite nanoparticles before. Animals who ate the nanoparticles (added to their food, as opposed to having them injected) showed no toxicity at levels well above those present in milk (up to 100 milligrams per kilogram of body weight a day for a year). Even if you inject them (into veins or into body cavities), you need levels well above those found in infant formulas to cause damage (50 milligrams nano-hydroxyapatite per kilogram body weight in rats). To give you an idea of how much higher this is with respect to infant formula, the highest levels of hydroxyapatite nanoparticles in any formula is 287 particles in 10 grams of formula. Yes, that’s particles not milligrams, not micrograms but actual particles. We are talking nano- to femtograms here, amounts so small it is hard to visualise. These levels are a million times or more less than levels found to have produced no effects in animals (and even lower than levels that do cause damage). Hydroxyapatite nanoparticles have been widely developed to aid bone repair, deliver drugs and have been extensively tested. All results suggest that even levels required to be drug delivery agents, well above those found in baby formula, have no significant adverse effects. These nanoparticles will also not stay nanoparticles: they dissolve in the stomach fluids, allowing their calcium to be absorbed. Newborns and very young babies’ stomach fluids are less acidic than older babies and young children (pH5), but still acidic enough to dissolve hydroxyapatite. And particles are more easily dissolved the smaller they are. So, nanoparticles are likely to be even more rapidly dissolved into their component calcium and phosphate ions than larger particles. 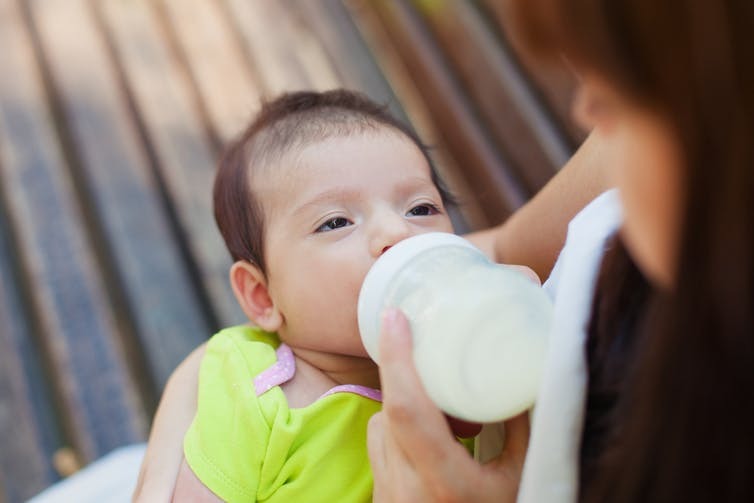 There are no significant public health implications for these small crystals of naturally occurring calcium phosphates in milk-based baby formula. The way the Friends of the Earth study results have been presented, with misleading references to irrelevant studies, has caused unnecessary fear and concern, and may lead some to abandon formula unnecessarily, with negative impacts on baby health. Skepticism – philosophical or scientific? (This essay is based on a talk presented to the Victorian Skeptics in January 2017. An edited version was published in The Skeptic magazine Vol.37, No.1, March 2017, under the title ‘I Think I Am’). Dictionaries often draw a distinction between the modern common meaning of skepticism, and its traditional philosophical meaning, which dates from antiquity. The usual common dictionary definition is ‘a sceptical attitude; doubt as to the truth of something’; whereas the philosophical definition is ‘the theory that some or all types of knowledge are impossible’. These definitions are of course quite different, and reflect the fact that the meanings of philosophical terms have drifted over the millennia. The contemporary meaning of ‘scientific skepticism’ is different again, which I shall talk about later. I should say at the outset that whilst I have a foot in both the scientific and philosophical camps, and although I will be writing here mainly about the less familiar philosophical skepticism, I personally support scientific skepticism over philosophical skepticism, for reasons I shall later explain. But why are these definitions of skepticism important? And why do we spell it with a ‘k’ instead of a ‘c’.? As an admin of a large online skeptics group (Skeptics in Australia), I am often asked such questions, so I have done a bit of investigating. As to the first question, one of the main definitional issues I have faced is the difference between skepticism and what I call denialism. 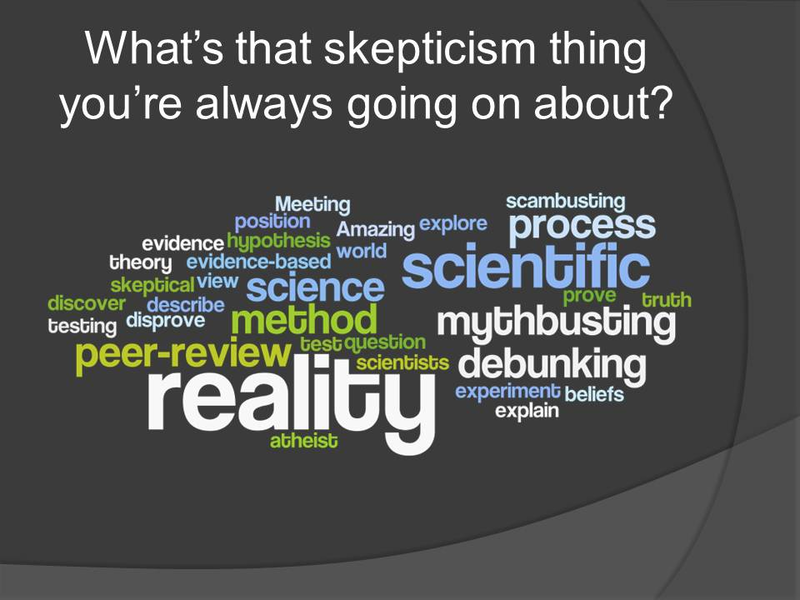 Some skeptical newbies typically do a limited amount of googling, and what they often come up with is the common dictionary definition of skepticism, rather than the lesser known scientific skepticism definition that we Australian skeptics use. They tend to think that ‘scepticism’ (with a ‘c’) entails doubting or being skeptical of everything, including science, medicine, vaccination, biotechnology, moon landings, 9/11 etc, etc. When we scientific skeptics express a contrary view, we are sometimes then accused of ‘not being real sceptics’. So I think that definitions are important. 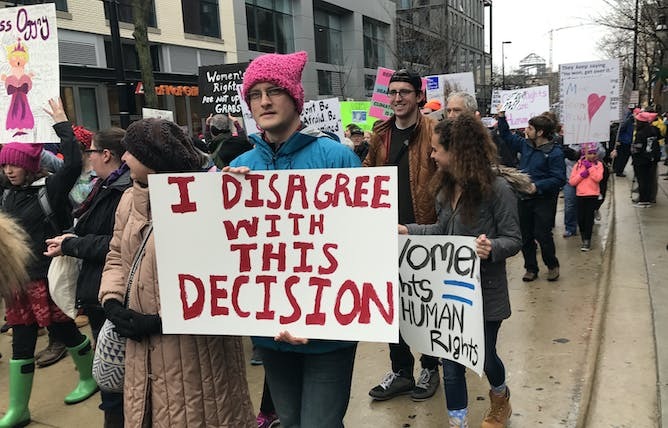 In my view, denialism is a person’s choice to deny certain particular facts. It is an essentially irrational belief where the person substitutes his or her personal opinion for established knowledge. Science denialism is the rejection of basic facts and concepts that are undisputed, well-supported parts of the scientific consensus on a subject, in favour of radical and controversial opinions of an unscientific nature. Most real skeptics accept the findings of peer-reviewed science published in reputable scientific journals, at least for the time being, unless and until it is corrected by the scientific community. Premise 1: I hold a certain belief. Premise 2: The scientific evidence is inconsistent with my belief. Conclusion: Therefore, the scientists are conspiring with the Big Bad Government/CIA/NASA/Big Pharma (choose whichever is convenient) to fake the evidence and undermine my belief. It is a tall order to argue that the whole of science is genuinely mistaken. That is a debate that even the conspiracy theorists know they probably can’t win. So the most convenient explanation for the inconsistency is that scientists are engaged in a conspiracy to fake the evidence in specific cases. The word ‘skeptic’ originates from the early Greek skeptikos, meaning ‘inquiring, reflective’. The Hellenistic period covers the period of Greek and Mediterranean history between the death of Alexander the Great in 323 BCE and the Roman victory over Greeks at the Battle of Corinth in 146 BCE. The beginning of this period also coincides with the death of the great philosopher, logician and scientist Aristotle of Stagira (384–322 BCE). As he had no adult heir, Alexander’s empire was divided between the families of three of his generals. This resulted in political conflicts and civil wars, in which prominent philosophers and other intellectuals did not want to take sides, in the interests of self-preservation. So they retreated from public life into various cloistered schools of philosophy, the main ones being the Stoics, the Epicureans, the Cynics and the Skeptics. As I mentioned earlier, the meanings of such philosophical terms have altered over 2000 years. These philosophical schools had different theories as to how to attain eudaimonia, which roughly translates as the highest human good, or the fulfilment of human life. They thought that the key to eudaimonia was to live in accordance with Nature, but they had different views as to how to achieve this. In a nutshell, the Stoics advocated the development of self-control and fortitude as a means of overcoming destructive emotions. The Epicureans regarded absence of pain and suffering as the source of happiness (not just hedonistic pleasure). The Cynics (which means ‘dog like’) rejected conventional desires for wealth, power, health, or fame, and lived a simple life free from possessions. Lastly, there were the Skeptics, whom I will now discuss in more detail. During this Hellenistic period, there were actually two philosophical varieties of skepticism – the Academic Skeptics and the Pyrrhonist Skeptics. In 266BCE, Arcesilaus became head of Platonic Academy. The Academic Skeptics did not doubt the existence of truth in itself, only our capacities for obtaining it. They went as far as thinking that knowledge is impossible – nothing can be known at all. 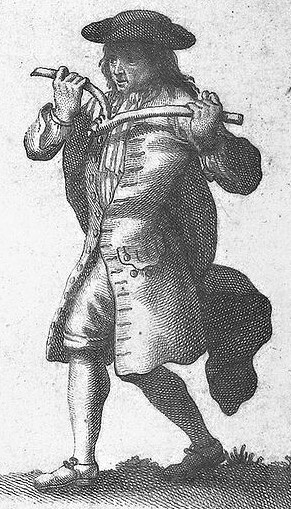 A later head of the Academy, Carneades modified this rather extreme position into thinking that ideas or notions are never true, but only probable. He thought there are degrees of probability, hence degrees of belief, leading to degrees of justification for action. Academic Skepticism did not really catch on, and largely died out in the first century CE, with isolated attempts at revival from time to time. The founder of Pyrrhonist Skepticism, Pyrrho of Elis (c.365-c.275BCE) was born in Elis on west side of the Peloponnesian Peninsula (near Olympia). Pyrrho travelled with Alexander the Great on his exploration of the East. He encountered the Magi in Persia and even went as far as the Gymnosophists in India, who were naked ascetic gurus – not exactly a good image for modern skepticism. 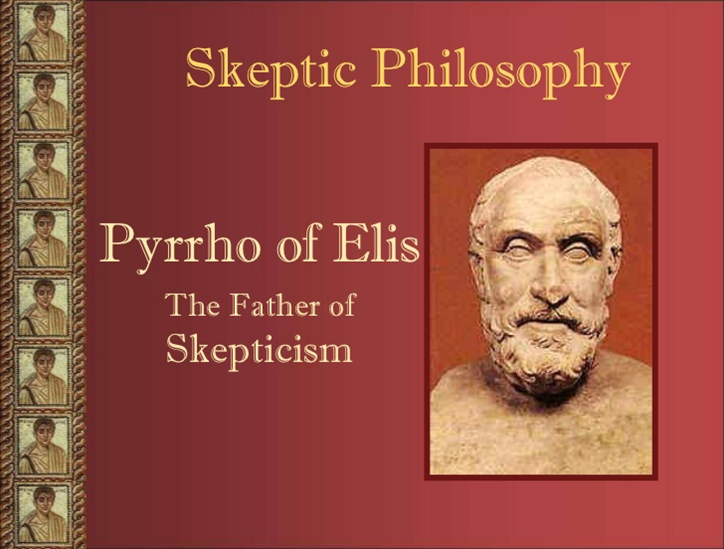 Pyrrho differed from the Academic Skeptics in thinking nothing can be known for certain. He thought that their position ‘nothing can be known at all’ was dogmatic and self-contradictory, because it itself is a claim of certainty. Pyrrho thought that the senses are easily fooled, and reason follows too easily our desires. Therefore we should withhold assent from non-evident propositions and remain in a state of perpetual inquiry about them. This means that we are not necessarily skeptical of ‘evident propositions’, and that at least some knowledge is possible. This position is closer to modern skepticism than Academic Skepticism. Indeed, Pyrrhonism became a synonym for skepticism in the 17th century CE; but we are not quite there yet. Sextus Empiricus (c. 160 – c. 210 CE) was a Greco-Roman philosopher who promoted Pyrrhonian skepticism. It is thought that the word ‘empirical’ comes from his name; although the Greek word empeiria also means ‘experience’. Sextus Empiricus first questioned the validity of inductive reasoning, positing that a universal rule could not be established from an incomplete set of particular instances, thus presaging David Hume’s ‘problem of induction’ about 1500 years later. The Romans were great inventors and engineers, but they are not renowned for science or skepticism. On the contrary, they are better known for being superstitious; for instance, the Roman Senate sat only on ‘auspicious days’ thought to be favoured by the gods. They had lots of pseudoscientific beliefs that we skeptics would now regard as quackery or woo. For example, they thought that cabbage was a cure for many illnesses; and in around 78CE, the Roman author Pliny the Elder wrote: ‘I find that a bad cold in the head clears up if the sufferer kisses a mule on the nose’. So I cannot see any valid historical reason for us to switch from the early Greek spelling of ‘skeptic’ to the Romanised ‘sceptic’. Yes, I know that ‘skeptic’ is the American spelling and ‘sceptic’ is the British spelling, but I don’t think that alters anything. The most likely explanation is that the Americans adopted the spelling of the early Greeks and the British adopted that of the Romans. 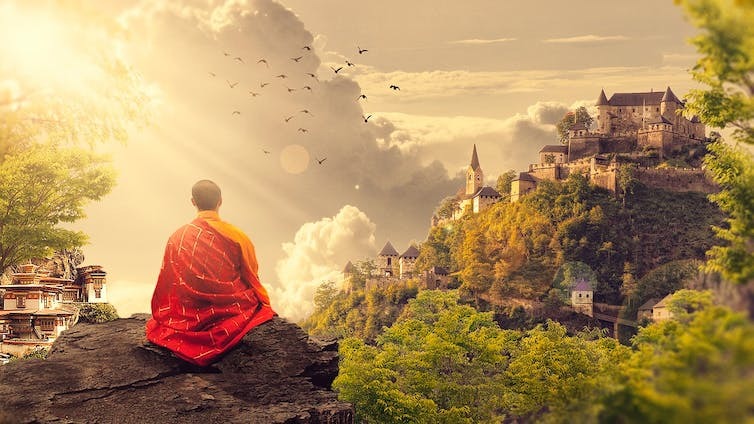 Somewhat counter intuitively, the term ‘modern philosophy’ is used to distinguish more recent philosophy from the ancient philosophy of the early Greeks and the medieval philosophy of the Christian scholastics. Thus ‘modern philosophy’ dates from the Renaissance of the 14th to the 17th centuries, although precisely when modern philosophy started within the Renaissance period is a matter of some scholarly dispute. The defining feature of modern philosophical skepticism is the questioning the validity of some or all types of knowledge. So before going any further, we need to define knowledge. The branch of philosophy dealing with the study of knowledge is called ‘epistemology’. 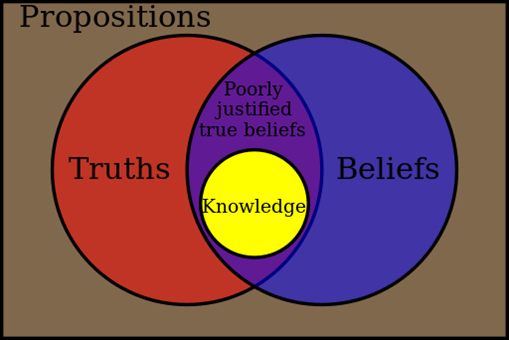 The ancient philosopher Plato famously defined knowledge as ‘justified true belief’, as illustrated by the Venn diagram below. According to this definition, it is not sufficient that a belief is true to qualify as knowledge – a belief based on faith or even just a guess could happen to be true by mere coincidence. So we need adequate justification of the truth of the belief for it to become knowledge. Although there are a few exceptions, known as ‘Gettier problems’, this definition of knowledge is still largely accepted by modern philosophers, and will do for our purposes here. (Epistemology is mainly about the justification of true beliefs rather than this basic definition of knowledge). There are also different types of knowledge that are relevant to this discussion. A priori knowledge is knowledge that is known independently of experience. For instance, we know that ‘all crows are birds’ without having to conduct an empirical survey of crows to investigate how many are birds and whether there are any crows that are not birds. Crows are birds by definition – it is just impossible for there to be an animal that is a crow but is not a bird. On the other hand, a posteriori knowledge is knowledge that is known by experience. For instance, we only know that ‘all crows are black’ from empirical observations of crows. It is not impossible that there is a crow that is not black, for example as a result of some genetic mutation. The above distinction illustrates how not all knowledge needs to be empirical. Indeed, one of the earliest modern philosophers and skeptics, Rene Descartes (1596-1650) was a French mathematician, scientist and philosopher. (His name is where the mathematical word ‘Cartesian’ comes from). These three interests of his were interrelated, in the sense that he had a mathematical and scientific approach to his philosophy. Mathematics ‘delighted him because of its certainty and clarity’. His fundamental aim was to attain philosophical truth by the use of reason and logical methods alone. For him, the only kind of knowledge was that of which he could be certain. His ideal of philosophy was to discover hitherto uncertain truths implied by more fundamental certain truths, in a similar manner to mathematical proofs. Using this approach, Descartes engaged in a series of meditations to find a foundational truth of which he could be certain, and then to build on that foundation a body of implied knowledge of which he could also be certain. He did this in a methodical way by first withholding assent from opinions which are not completely certain, that is, where there is at least some reason for doubt, such as those acquired from the senses. Descartes concludes that one proposition of which he can be certain is ‘Cogito, ergo sum’ (which means ‘I think, therefore I exist’). In contrast to Descartes, a different type of philosophical skeptic David Hume (1711-1776) held all human knowledge is ultimately founded solely in ‘experience’. In what has become known as ‘Hume’s fork’, he held that statements are divided up into two types: statements about ideas are necessary statements that are knowable a priori; and statements about the world, which are contingent and knowable a posteriori. In modern philosophical terminology, members of the first group are known as analytic propositions and members of the latter as synthetic propositions. Into the first class fall statements such as ‘2 + 2 = 4’, ‘all bachelors are unmarried’, and truths of mathematics and logic. Into the second class fall statements like ‘the sun rises in the morning’, and ‘the Earth has precisely one moon’. Hume tried to prove that certainty does not exist in science. First, Hume notes that statements of the second type can never be entirely certain, due to the fallibility of our senses, the possibility of deception (for example, the modern ‘brain in a vat’ hypothesis) and other arguments made by philosophical skeptics. It is always logically possible that any given statement about the world is false – hence the need for doubt and skepticism. Hume formulated the ‘problem of induction’, which is the skeptical question of whether inductive reasoning leads to knowledge understood in the classic philosophical sense. This problem focuses on the alleged lack of justification for generalising about the properties of a class of objects based on some number of observations of particular instances of that class (for example, the inference that ‘all swans we have seen are white, and therefore, all swans are white’, before the discovery of black swans in Western Australia). Immanuel Kant (1724-1804) was (and still is) a major philosophical figure who tried to show the way beyond the impasse which modern philosophy had led to between rationalists such as Descartes and empiricists such as Hume. Kant is widely held to have synthesised these two early modern philosophical traditions. And yet he was also a skeptic, albeit of a different variety. Kant thought that only knowledge gained from empirical science is legitimate, which is a forerunner of modern scientific skepticism. He thought that metaphysics was illegitimate and largely speculative; and in that sense he was a philosophical skeptic. In 1924, the Spanish philosopher Miguel de Unamuno disputed the common dictionary definition of skepticism. He argued that ‘skeptic does not mean him who doubts, but him who investigates or researches as opposed to him who asserts and thinks that he has found’. Sounds familiar, doesn’t it? Modern scientific skepticism is different from philosophical skepticism, and yet to some extent was influenced by the ideas of Pyrrho of Elis, David Hume, Immanuel Kant and Miguel de Unamuno. Most skeptics in the English-speaking world see the 1976 formation of the Committee for the Scientific Investigation of Claims of the Paranormal (CSICOP) in the United States as the ‘birth of modern skepticism’. 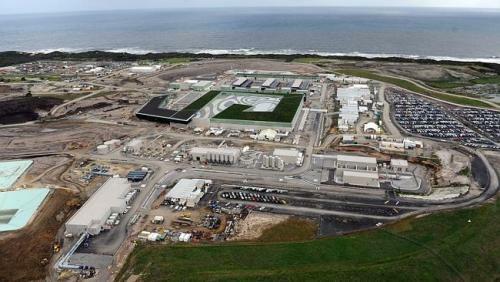 (CSICOP is now called the Committee for Skeptical Inquiry – CSI). 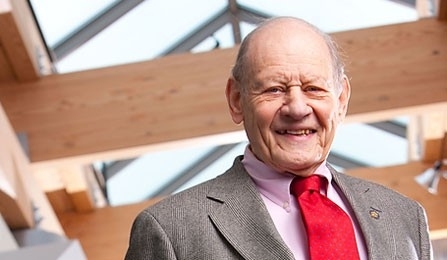 However, CSICOP founder and philosophy professor Paul Kurtz has said that he actually modelled it after the Belgian Comité Para of 1949. The Comité Para was partly formed as a response to a predatory industry of bogus psychics who were exploiting the grieving relatives of people who had gone missing during the Second World War. Kurtz recommended that CSICOP focus on testable paranormal and pseudoscientific claims and to leave religious aspects to others. CSICOP popularised the usage of the terms ‘skeptic’, ‘skeptical’ and ‘skepticism’ by its magazine, Skeptical Inquirer, and directly inspired the foundation of many other skeptical organizations throughout the world, including the Australian Skeptics in 1980. Through the public activism of groups such as CSICOP and the Australian Skeptics, the term ‘scientific skepticism’ has come to symbolise an activist movement as well as a type of applied philosophy. There are several definitions of scientific skepticism, but the two that I think are most apt are those by the Canadian skeptic Daniel Loxton and the American skeptic Steven Novella. Steven Novella’s definition is ‘scientific skepticism is the application of skeptical philosophy, critical thinking skills, and knowledge of science and its methods to empirical claims, while remaining agnostic or neutral to non-empirical claims (except those that directly impact the practice of science).’ By this exception, I think he means religious beliefs that conflict with science, such as creationism or opposition to stem cell research. In other words, scientific skeptics maintain that empirical investigation of reality leads to the truth, and that the scientific method is best suited to this purpose. Scientific skeptics attempt to evaluate claims based on verifiability and falsifiability and discourage accepting claims on faith or anecdotal evidence. This is different to philosophical skepticism, although inspired by it. Descartes, R. (1641) Meditations on First Philosophy: With Selections from the Objections and Replies, trans. and ed. John Cottingham, Cambridge: Cambridge University Press. Hume, David. (1748) An Enquiry Concerning Human Understanding . Gutenberg Press. Kant, Immanuel (1787) Critique of Pure Reason 2nd edition. Cambridge: Cambridge University Press. Loxton, Daniel. (2013) Why Is There a Skeptical Movement? (PDF). Retrieved 12 January 2017. Russell, Bertrand. (1961) History of Western Philosophy. 2nd edition London: George Allen & Unwin. Unamuno, Miguel de., (1924) Essays and soliloquies London: Harrap. You may have noticed that we’ve been updating and recycling our “Australian Skeptics Guide to….” features. Usually we wait five years or more between reposts, but so much has happened recently that an update of the January 2016 update of An Australian Skeptic’s Guide to Numerology seems like a good idea. This article first appeared as a Vic Skeptics discussion pamphlet and again here in 2010. The full range of our discussion pamphlets can be downloaded from our USEFUL INFO page. 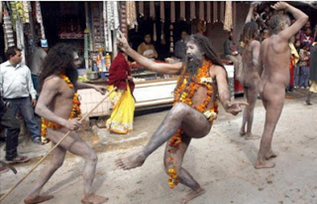 Dowsing, (also known as Divining) is widely practised in Australia. Dowsers claim the ability to detect useful substances in the ground using processes which are not able to be explained by current scientific principles. The most frequently dowsed substance in drought-prone Australia is water. Many Australians can claim a friend or relative who is a water-diviner. This is an edited repost of an article which first appeared here in August 2010. You can also download a similar classroom discussion pamphlet (and a lot more) from our USEFUL INFO page. The basic proposition of Western Astrology is that your personality and fate are influenced by the apparent positions and motions of heavenly bodies. The full range of our discussion pamphlets (and a lot more) can be downloaded from our USEFUL INFO page. Test 1: Is the argument factually correct? It’s remarkable how many conspiracy theories are based on arguments which are simply factually incorrect. If you’re presented with a conspiracy theory argument, check the facts. Many incorrect arguments are repeated in ignorance. But there are also some people who knowingly repeat conspiracy arguments they know are wrong.